When a group of anti-war activists broke into an FBI office in Media, Pennsylvania, on 8 March 1971 they hoped that they would be hitting the bureauâ€™s overweening director, J Edgar Hoover, where it hurt most. They would grab whatever documents they could find and in that way expose the culture of Big Brother illegality that Hoover had created. The plan went better than they could ever have dreamed. Among a huge stash of confidential documents the group retrieved were secrets about the FBIâ€™s blanket surveillance of the peace and civil rights movement, the tactics of disinformation and deception the bureau used to silence protesters and even an attempt by agents to have Martin Luther King commit suicide. Yet despite a massive police hunt, in which Hoover threw 200 agents, the perpetrators of that audacious break-in have never been identified. They had carried out the perfect political crime, and got away scot-free. Later on Tuesday some of the burglars â€“ Keith Forsyth, John and Bonnie Raines â€“ were due to speak at a press conference organised by the bookâ€™s publisher, Knopf. They have also talked to the New York Times, which first disclosed the decision of the five to out themselves. They can no longer be prosecuted for the burglary. â€¢ This article was amended on 7 January 2014. An earlier headline indicated that the burglars were just now coming forward with the stolen documents. They were simply revealing their identities. burglars took a lock pick and a crowbar and broke into a Federal Bureau of Investigation office in a suburb of Philadelphia, making off with nearly every document inside. They were never caught, and the stolen documents that they mailed anonymously to newspaper reporters were the first trickle of what would become a flood of revelations about extensive spying and dirty-tricks operations by the F.B.I. against dissident groups. The burglary in Media, Pa., on March 8, 1971, is a historical echo today, as disclosures by the former National Security Agency contractor Edward J. Snowden have cast another unflattering light on government spying and opened a national debate about the proper limits of government surveillance. The burglars had, until now, maintained a vow of silence about their roles in the operation. They were content in knowing that their actions had dealt the first significant blow to an institution that had amassed enormous power and prestige during J. Edgar Hooverâ€™s lengthy tenure as director. Mr. Forsyth, now 63, and other members of the group can no longer be prosecuted for what happened that night, and they agreed to be interviewed before the release this week of a book written by one of the first journalists to receive the stolen documents. The author, Betty Medsger, a former reporter for The Washington Post, spent years sifting through the F.B.I.â€™s voluminous case file on the episode and persuaded five of the eight men and women who participated in the break-in to end their silence. The burglary was the idea of William C. Davidon, a professor of physics at Haverford College and a fixture of antiwar protests in Philadelphia, a city that by the early 1970s had become a white-hot center of the peace movement. Mr. Davidon was frustrated that years of organized demonstrations seemed to have had little impact. In the summer of 1970, months after President Richard M. Nixon announced the United Statesâ€™ invasion of Cambodia, Mr. Davidon began assembling a team from a group of activists whose commitment and discretion he had come to trust. The group â€” originally nine, before one member dropped out â€” concluded that it would be too risky to try to break into the F.B.I. office in downtown Philadelphia, where security was tight. They soon settled on the bureauâ€™s satellite office in Media, in an apartment building across the street from the county courthouse. That decision carried its own risks: Nobody could be certain whether the satellite office would have any documents about the F.B.I.â€™s surveillance of war protesters, or whether a security alarm would trip as soon as the burglars opened the door. The group spent months casing the building, driving past it at all times of the night and memorizing the routines of its residents. On Friday, November 29, 1963, exactly one week after President John F. Kennedy had been killed by a sniper's bullets in Dallas, Texas, new U.S. President Lyndon B. Johnson made this telephone call to FBI Director J. Edgar Hoover. November 29th was also the same day that Johnson announced the formation of the Warren Commission to investigate JFK's assassination. Students of the JFK murder case will immediately take note of several factual errors within this phone call between LBJ and Hoover. Indeed, the actual legendary G-man who led the FBI from 1935 to 1972 loved going to the Del Mar horse races. How two Texas oilmen ran Del Mar and national politicians from a La Jolla hotel. It was the vortex of a dark universe, hiding in plain sight. 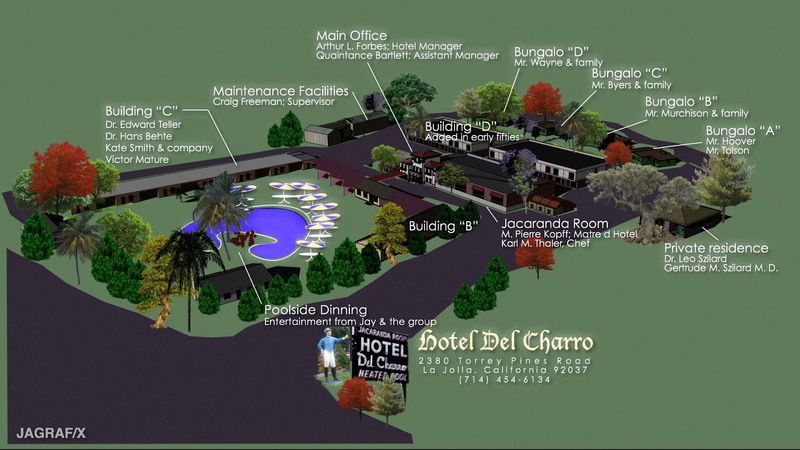 â€œAt La Jolla (pronounced La Hoya), San Diegoâ€™s northern suburb,â€� the New York Times reported on January 17, 1954, â€œa syndicate of well-heeled Texans has spent a reported $1 million on a fabulous hostelry dubbed the Hotel del Charro.â€� The place had opened for business less than a year before, on May 29, 1953, and word was spreading fast. No outsider ever actually knew who owned the hotel, for it was held by a Nevada corporation, Rancho del Charro, Inc. (the name was later changed to Hotel del Charro, Inc.). But the real owners were widely understood to be Clint Murchison and Sid Richardson, two Texas oilmen with an interest in everything from racetracks to uranium for use in the atomic bomb. County records show that on June 10, 1953, the corporation borrowed $500,000 from the Atlantic Life Insurance Company of Richmond, Virginia, owned by Murchison. The month before, the corporation had purchased a liquor license that formerly belonged to Roy H. Pickford of the Rose Bowl Cocktail Lounge in Coronado. There were famous guests, ostentatious arrivals, drunks, bookies, movie stars, mobsters, atomic scientists, gamblers, Joe McCarthy, Richard Nixon, J. Edgar Hoover, and an excess of all things Texas, presided over by two of the richest men on earth. Clint Murchison and Sid Richardson, who made their fortunes in Texas oil, were spending it on politicians, horses, and making more money. They were partial to Jim Beam, big cigars, hunting, homemade chili, and poker. Some of their friends were Mafiosi and the two oilmen didnâ€™t cotton to liberals or snooty California society matrons, and they didnâ€™t give a damn who cared. The place was a safe distance out of town, on the road to Del Mar and points north, near the intersection of todayâ€™s La Jolla Parkway and Torrey Pines Road, a convenient drive to the Del Mar track, control of which they would soon acquire through some questionable dealings. Some mystery remains about exactly what J. Edgar Hoover did in return for that Texas hospitality. In The Man and His Secrets, writer Curt Gentry says he gave Murchisonâ€™s lobbyist Tom Webb advance word on forthcoming actions by federal agencies. Anthony Summers, author of Official and Confidential, the Secret Life of J. Edgar Hoover, quotes Allan Witwer as saying Hoover cleared the way for Murchison to buy the Del Mar track, which sat on leased property owned by the State of California. Some said they had even seen Marcello himself, whose various enterprises included a West Coast racing wire and California call-girl operations, hanging around the pool at Del Charro. 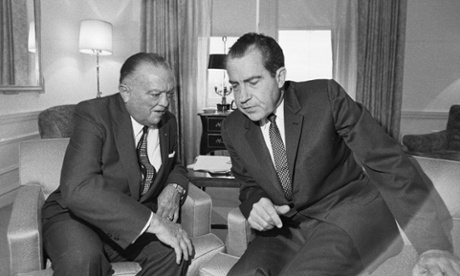 Murchison and Sid Richardson, became friends of J. Edgar Hoover, the head of the Federal Bureau of Investigation. It was the start of a long friendship. According to Anthony Summers, the author of The Secret Life of J. Edgar Hoover (1993): "Recognizing Edgar's influence as a national figure, the oilmen had started cultivating him in the late forties-inviting him to Texas as a houseguest, taking him on hunting expeditions. Edgar's relations with them were to go far beyond what was proper for a Director of the FBI." Hoover and his friend, Clyde Tolson, were regular visitors to Murchison's Del Charro Hotel in La Jolla, California. The three men would visit the local racetrack, Del Mar. Allan Witwer, the manager of the hotel at the time, later recalled: "It came to the end of the summer and Hoover had made no attempt to pay his bill. So I went to Murchison and asked him what he wanted me to do." Murchison told him to put it on his bill. Witwer estimates that over the next 18 summers Murchison's hospitality was worth nearly $300,000. Other visitors to the hotel included Richard Nixon, John Connally, Lyndon B. Johnson, Meyer Lansky, Santos Trafficante, Johnny Rosselli, Sam Giancana and Carlos Marcello. In 1952 Hoover and Murchison worked together to mount a smear campaign against Adlai Stevenson, the Democratic Party candidate for the presidency. Hoover and his friend, Clyde Tolson, also invested heavily in Murchison's oil business. In 1954 Murchison joined forces with Richardson and Robert Ralph Young to gain control of the New York Central Railroad. This involved buying 800,000 shares worth $20 million. On 16th October, 1962, President Kennedy was able to persuade Congress to pass an act that removed the distinction between repatriated profits and profits reinvested abroad. While this law applied to industry as a whole, it especially affected the oil companies. It was estimated that as a result of this legislation, wealthy oilmen saw a fall in their earnings on foreign investment from 30 per cent to 15 per cent. Rumours began to circulate that Murchison might have been involved in the assassination of John F. Kennedy. 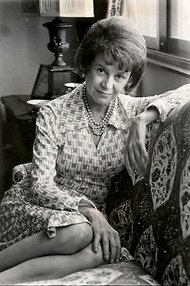 A friend of Murchison, Madeleine Brown, claimed in an interview on the television show, A Current Affair that on the 21st November, 1963, she was at his home in Dallas. Others at the meeting included Haroldson L. Hunt, J. Edgar Hoover, Clyde Tolson, John J. McCloy and Richard Nixon. Clint Murchison, an oil millionaire whose wealth was nurtured and preserved by the oil depletion allowance, ran the the Del Charro Hotel in La Jolla, California. The Del Charro was not run for profit. Hotel â€œguestsâ€� generally didnâ€™t pay for food or lodging. The frequent guests were all power figures like J. Edgar Hoover (Director of the FBI), Carlos Mossello (New Orleans Mafia head), Richard Nixon (who lost the 1960 presidential election to Kennedy), Bobby Baker (Johnsonâ€™s right hand man and secretary of the US Senate), a wealthy man named D.H. Byrd (the owner of the Texas Book Depository) and Edward Clark, a politician and lobbyist (for Murchison) who came to be known as the â€œarrangerâ€�. Another guest was William K. Harvey, a former FBI man who worked with the CIAâ€™s foreign assassination projects. Suite 8F helped to coordinate the political activities of other right-wing politicians and businessmen based in the South. This included Robert Anderson (president of the Texas Mid-Continent Oil and Gas Association, Secretary of the Navy and Secretary of the Treasury), Robert Kerr (Kerr-McGee Oil Industries), Billie Sol Estes (entrepreneur in the cotton industry), Glenn McCarthy (McCarthy Oil and Gas Company), Earl E. T. Smith (U.S. Sugar Corporation), Fred Korth (Continental National Bank and Navy Secretary), Ross Sterling (Humble Oil), Sid Richardson (Texas oil millionaire), Clint Murchison (Delhi Oil), Haroldson L. Hunt (Placid Oil), Eugene B. Germany (Mustang Oil Company), David Harold Byrd (Byrd Oil Corporation), Lawrence D. Bell (Bell Helicopters), William Pawley (business interests in Cuba), Gordon McLendon (KLIF), George Smathers (Finance Committee and businessman), Richard Russell (chairman of the Committee of Manufactures, Committee on Armed Forces and Committee of Appropriations), James Eastland (chairman Judiciary Committee), Benjamin Everett Jordan (chairman of the Senate Rules Committee), Fred Black (political lobbyist and Serve-U Corporation) and Bobby Baker (political lobbyist and Serve-U Corporation). 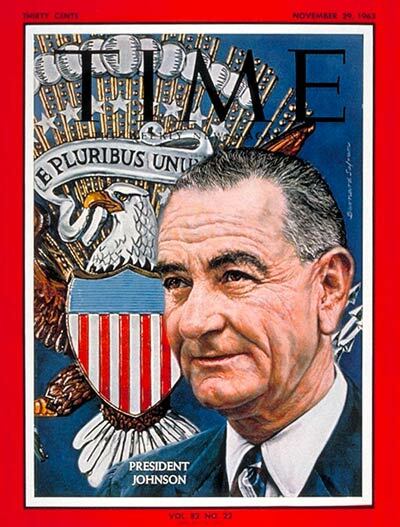 In 1955 Lyndon B. Johnson became majority leader of the Senate. Johnson and Richard Russell now had complete control over all the important Senate committees. This was proving to be an expensive business. The money used to bribe these politicians came from Russellâ€™s network of businessmen. These were men usually involved in the oil and armaments industries. According to John Connally, large sums of money was given to Johnson throughout the 1950s for distribution to his political friends. â€œI handled inordinate amounts of cashâ€�. A great deal of this came from oilmen. Cornel Wilde worked for the Gulf Oil Corporation. In 1959 he took over from David Searls as chief paymaster to Johnson. He testified that he made regular payments of $10,000 to Walter Jenkins. On the advice of Lyndon B. Johnson, Kennedy appointed John Connally as Secretary of the Navy. This was an important post as it controlled a great deal of federal spending, including the contract to provide oil to the US Navy. When Connally became Governor of Texas, Johnson arranged for fellow Texan, Fred Korth, to become the new Navy Secretary. In November, 1963, Fred Korth was forced to resign as a result of accusations of corruption following the award of a $7 billion contract for a fighter plane, the TFX, to General Dynamics, a company based in Texas. Johnson could not afford to appoint another Texan in this post. Instead he selected Paul Nitze, the husband of Phyllis Pratt, a Standard Oil heiress. 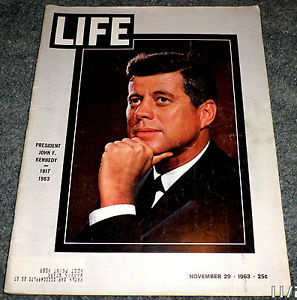 The assassination of John F. Kennedy brought an end to this proposal to bring an end to the oil depletion allowance. The Suite 8F Group also did very well out of the escalation of the Vietnam War. They formed a new company called RMK-BRJ to obtain these contracts. This included Halliburton who took over Brown & Root in 1962. These contracts included building jet runways, dredging channels for ships, hospitals, prisons, communications facilities, and building American bases from Da Nang to Saigon. RMK-BRJ did 97% of the construction work in Vietnam. The other 3% went to local Vietnamese contractors. Between 1965 and 1972 Brown & Root (Halliburton) alone obtained revenues of $380 million from its work in Vietnam. The Del Charro was quid pro quo and provided a social atmosphere where organized crime, the FBI chief, big oil money and political power could mingle. The interesting Alsop brothers .... Joseph Alsop was gay but had just married Susan Mary nee Jay she knew he was gat too but didn't seem to mind. Oh, everyone knew he was gay, so on this phone call when LBJ congratulates him on his marriage it's pretty strange. Both were closely connected with the CIA and were members of the Georgetown set. So it's no surprise that LBJ calls Alsop with the news of the Warren Commission first to handle the press coverage. LBJ and Joseph Alsop 11/29/1963. 7:00P. Warren Commission: Telephone Conversation between President Johnson and Joseph Alsop. 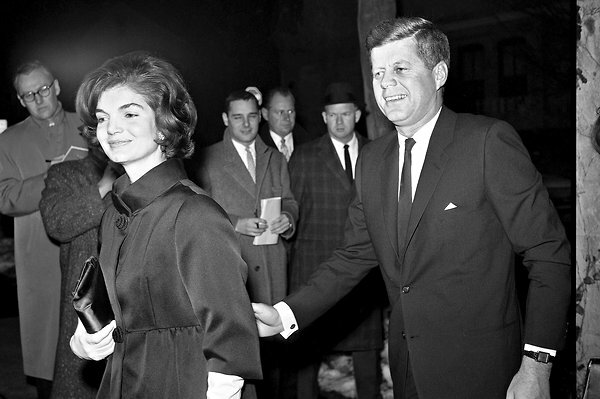 Jacqueline Kennedy and President Kennedy arriving at the home of Joseph Alsop in 1961. Joseph Alsop, the syndicated Washington columnist whose robust opinions appeared in newspapers around the country for five decades, died yesterday morning in his house in the Georgetown section of Washington. He was 78 years old. Reached at his house, his sister-in-law Patricia Alsop - the widow of his brother and former collaborator, Stewart Alsop - said Joseph Alsop's death was caused by severe anemia, lung cancer and severe emphysema, all of which he had been fighting for more than a year. Mr. Alsop, who was related to the Oyster Bay branch of the Roosevelt family, was a shrewd, dogged, well-connected newsman with an exaggerated old-school manner, and he dearly loved controversy. The Alsops once described themselves as "Republicans by inheritance and registration, and...conservatives by political conviction." Despite his identity as a conservative Republican, however, Alsop was an early supporter of the presidential ambitions of Democrat John F. Kennedy and became a close friend and influential adviser to Kennedy after his election in November 1960. Alsop was a vocal supporter of America's involvement in Vietnam, which led to bitter breaks with many of his liberal friends and a decline in the influence of his column. Alsop entered the Navy and used his political connections to be assigned as Staff Historian to Claire Chennault's American Volunteer Group, later famous as the Flying Tigers, while the group was training at Toungoo, Burma. While on a supply mission for Chennault in December 1941, Alsop was captured and interned at Hong Kong by the Japanese. Repatriated on the neutral liner Gripsholm, he rejoined Chennault in Kunming, China and served with him for the rest of the war. Susan Mary Alsop, 86, the grand dame of Washington society whose Georgetown dinner parties epitomized the nexus of political power and social arrival in the 1960s, died Aug. 18 of complications from pneumonia at her home. As the descendant of one of America's first families (she was a Jay, as in John Jay, the first chief justice of the United States), she grew up privileged and firmly a member of the most elite Eastern Establishment circles. 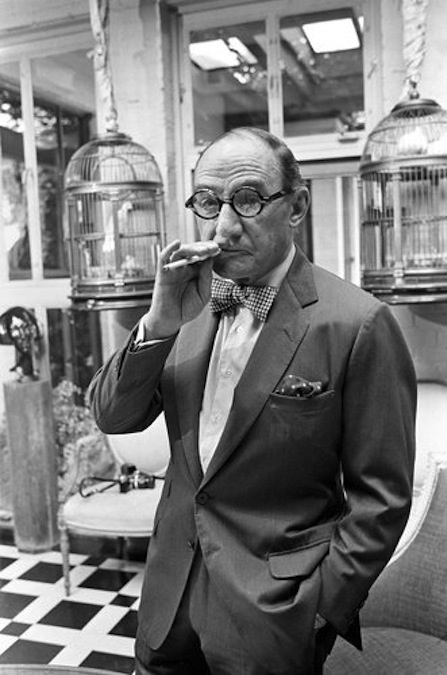 Patten died in 1960, after years of battling emphysema. She married his college roommate, columnist Joseph Alsop, the next year, and moved to Washington, apparently with full knowledge that he was gay. She said he was a good stepfather to her daughter and son, Bill Patten, although memoirs from the period say he treated her rudely in public. Alsop lived in Washington where he associated with a group of journalists, politicians and government officials that became known as the Georgetown Set. This included Frank Wisner, George Kennan, Dean Acheson, Richard Bissell, Desmond FitzGerald, Joseph Alsop, Stewart Alsop, Tracy Barnes, Philip Graham, David Bruce, Clark Clifford, Walt Rostow, Eugene Rostow, Chip Bohlen, Cord Meyer, Richard Helms, Desmond FitzGerald, Frank Wisner, James Angleton, William Averill Harriman, John McCloy, Felix Frankfurter, John Sherman Cooper, James Reston, Allen W. Dulles and Paul Nitze. Most men brought their wives to these gatherings. Members of what was later called the Georgetown Ladies' Social Club included Katharine Graham, Mary Pinchot Meyer, Sally Reston, Polly Wisner, Joan Braden, Lorraine Cooper, Evangeline Bruce, Avis Bohlen, Janet Barnes, Tish Alsop, Cynthia Helms, Marietta FitzGerald, Phyllis Nitze and Annie Bissell. Alsop worked closely with the CIA. According to Carl Bernstein: "In 1953, Joseph Alsop, then one of Americaâ€™s leading syndicated columnists, went to the Philippines to cover an election. He did not go because he was asked to do so by his syndicate. He did not go because he was asked to do so by the newspapers that printed his column. He went at the request of the CIA. Alsop is one of more than 400 American journalists who in the past twenty-five years have secretly carried out assignments for the Central Intelligence Agency, according to documents on file at CIA headquarters." In 1957, during his first and only visit to the Soviet Union, Joe was entrapped by the KGB in a Moscow hotel room. According to Evan Thomas: "Alsop foolishly allowed himself to be caught in a honey trap by the KGB on a trip to Moscow in 1957. The Russians took photos of Alsop in the midst of a homosexual act with a KGB agent and tried to blackmail him into becoming an agent." Edwin Yoder has argued in his book, Joe Alsop's Cold War: A Study of Journalistic Influence and Intrigue (1995), that the existence of these photographs did not stop Alsop from continuing to denounce the Soviet Union. However, twelve years later Alsop discovered that the photographs had come into the possession of J. Edgar Hoover. Frances Stonor Saunders, the author of Who Paid the Piper: The CIA and the Cultural Cold War? (1999) has argued that a high-level CIA official told her that Stewart Alsop was a "CIA agent". Saunders discussed this issue with Joseph Alsop. He dismissed this claim as "absolute nonsense" but admitted that both men were very close to the agency: "I was closer to the Agency than Stew was, though Stew was very close... I dare say he did perform some tasks - he did the correct thing as an American... The Founding Fathers of the CIA were close personal friends of ours... It was a social thing. I have never received a dollar, I never signed a secrecy agreement. I didn't have to... I've done things for them when I thought they were the right thing to do. I call it doing my duty as a citizen... The CIA did not open itself at all to people it did not trust... Stew and I were trusted, and I'm proud of it." After the United States entered the Second World War Alsop was rejected by the United States Army because of high blood pressure. Desperate to play his part he went to England and joined the British Army. While serving in the army he met and married Patricia Hankey. Alsop eventually joined the Special Operations Executive (SOE). In July 1944, Stewart Alsop and Thomas Braden went to work with Allen Dulles at the Office of Strategic Services (OSS). Soon afterwards he was parachuted into the PÃ©rigord region of France to aid the French Resistance. Alsop later recalled: "Going behind enemy lines, according to the rules of warfare, is not a task which one man can command another to do. Perhaps one tenth of the men who were in OSS saw service behind the lines, but all of them who did so volunteered to do so, and the volunteers knew no bounds of money or political belief." Alsop was later awarded the Croix de Guerre for his work. After the war Alsop co-wrote with Braden a history of the OSS called Sub Rosa: The O.S.S. and American Espionage (1946). Frances Stonor Saunders, the author of Who Paid the Piper: The CIA and the Cultural Cold War? (1999) has pointed out: "In long exchanges, heated by intellectual passion and alcohol, their vision of a new world order began to take shape. Internationalist, abrasive, competitive, these men had an unshakeable belief in their value system, and in their duty to offer it to others. They were the patricians of the modern age, the paladins of democracy, and saw no contradiction in that. This was the elite which ran American foreign policy and shaped legislation at home. Through think-tanks to foundations, directorates to membership of gentlemen's clubs, these mandarins were interlocked by their institutional affiliations and by a shared belief in their own superiority." Braden was recruited into Special Operations Executive (SOE) and in 1944, along with Stewart Alsop he went to work with Allen Dulles at the Office of Strategic Services (OSS). Braden oversaw the funding of groups such as the National Student Association, the Congress of Cultural Freedom, Communications Workers of America, the American Newspaper Guild and the National Educational Association. According to Braden, the CIA was putting around $900,000 a year into the Congress of Cultural Freedom. Some of this money was used to publish its journal, Encounter. Braden and the IOD also worked closely with anti-Communist leaders of the trade union movement such as George Meany of the Congress for Industrial Organization and the American Federation of Labor. This was used to fight Communism inits own ranks. As Braden said: "The CIA could do exactly as it pleased. It could buy armies. It could buy bombs. It was one of the first worldwide multinationals." 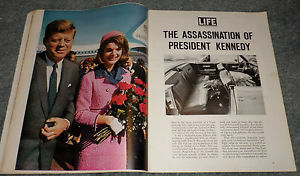 According to Warren Hinckle and William Turner (Deadly Secrets), in 1963 Braden advised Robert Kennedy: "Why don't you just go on a crusade to find out about the murder of your brother?". Kennedy shook his head and said it was too horrible to think about and that he decided to just accept the findings of the Warren Commission.